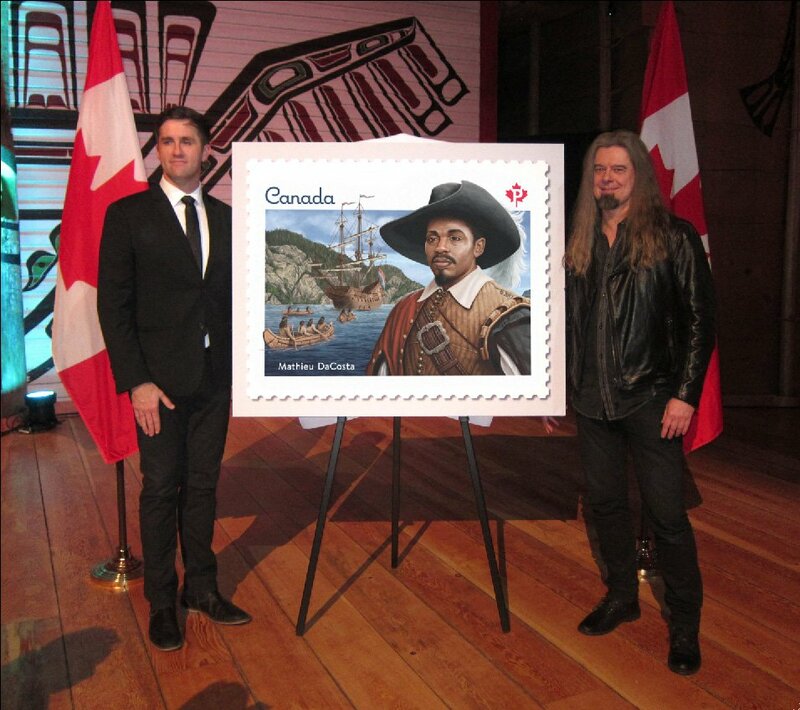 Canadian illustrator Ron Dollekamp recently attended the unveiling of a new postage stamp in Ottawa. 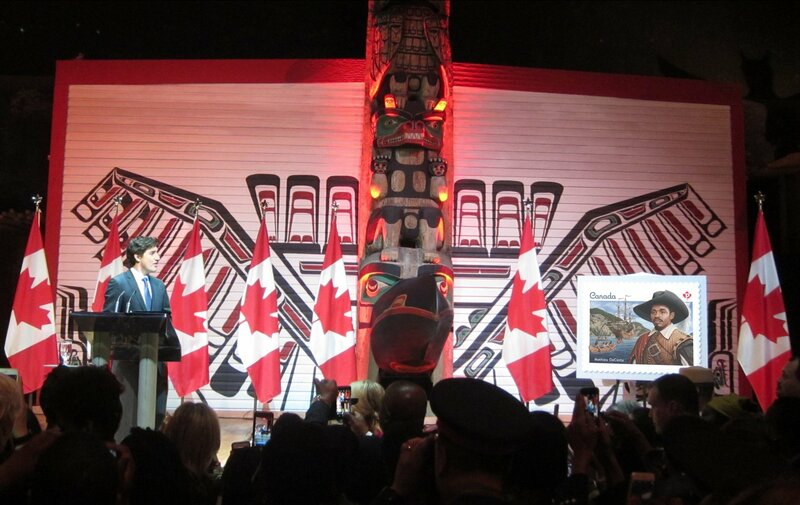 The stamp honours what is agreed to be the first visit to Canada by someone of African descent, Mathieu DeCosta. You can read more about this fascinating character from colonial times at Wikipedia. Ron sent us this dispatch about the event. “I was invited along with Designer Andrew Perro to attend a celebration of Black History Month at the Canadian Museum of History. 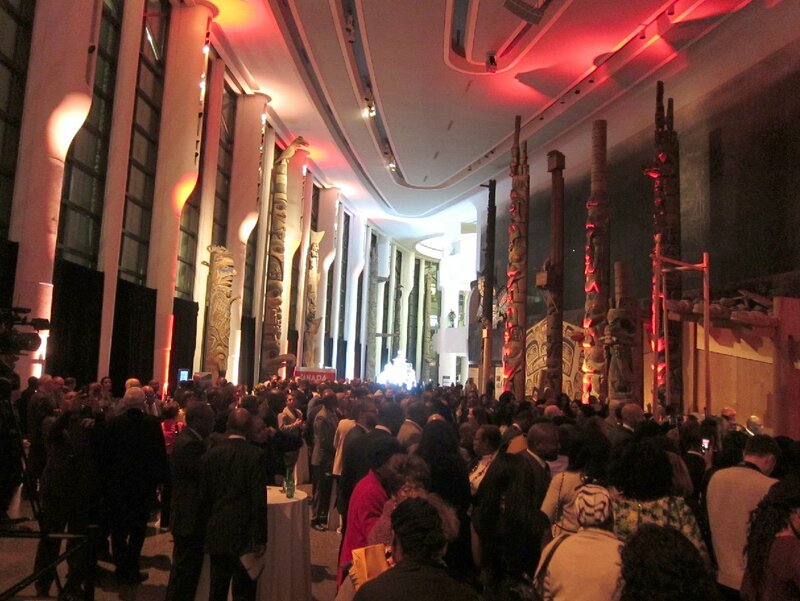 I estimate the event was attended by at least 500 people, mainly of African heritage, and also by Hon. Mélanie Joly, Minister of Canadian Heritage, CEO of Canada Post, Deepak Chopra, and many other dignitaries. 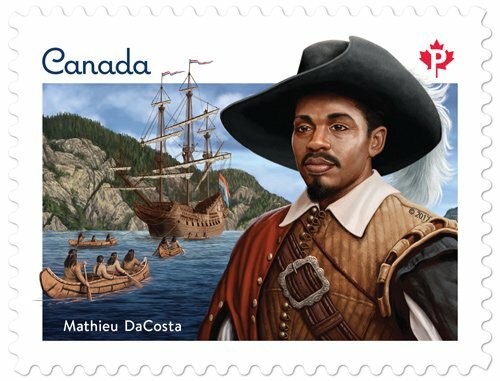 Included as part of that celebration, was the official unveiling the stamp that I illustrated for Canada Post, depicting Mathieu Da Costa, hired by the French and Dutch as an interpreter, and believed to be the first person of African descent to set foot on what was to become Canada, over 400 years ago. And he sent us some images from the evening as well! Congratulations Ron, this is amazing!